To print a printer-friendly version of a recipe's cookware, ingredients, and instructions, please log-in to the web app and enter your user credentials. 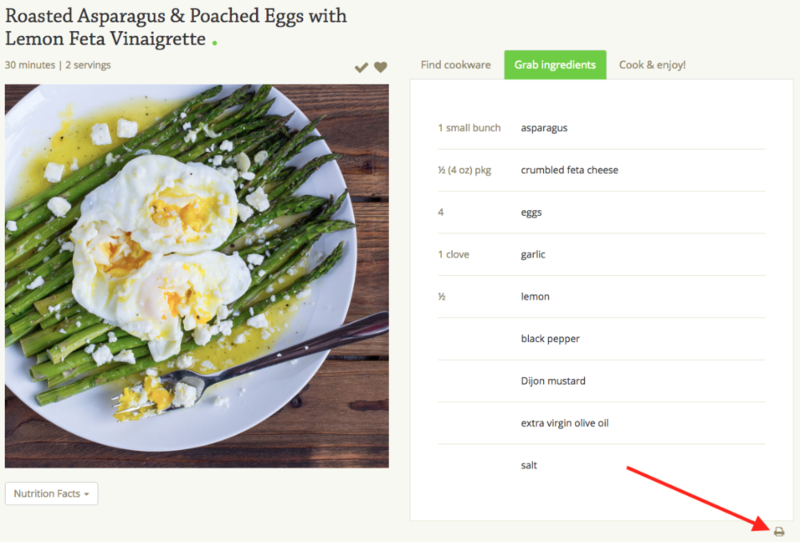 Once you've logged in to the web app, please open the recipe you'd like to print by clicking on the recipe. Scroll to the bottom of the recipe page and on the right-hand side, underneath the instructions, you'll notice a printer icon. Click this icon, select your printer and click Print.